We supply a specialist selection of beef, lamb, pork, sausage, mutton and pies. To place your order, just give us a call and we can process your card payment over the telephone, or you can e-mail us your order. Our order hotline is 015395 68410. We handle every order in person as our stock is constantly changing. 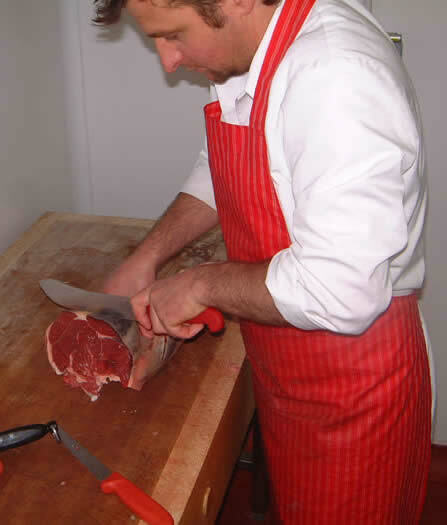 We cut all the meat at the farm in a purpose built temperature controlled environment. This means we have complete control of the preparation and process of all our raw products as well as being able to monitor and record the process correctly. We are an approved premises and are audited by the Meat Hygiene Service to ensure all our products meet the highest standards throughout all processes.